Additional square footage provided by an on-site shipping container in Austin, Texas, holds an home office design layout. 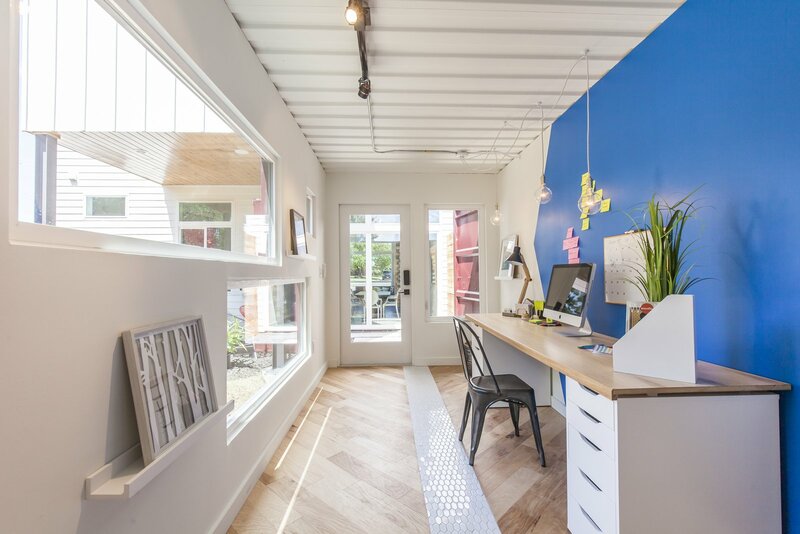 This beautifully designed shipping container home office features track lighting, wall sconces, a full-height cabinet to hang clothes, and a mini split air conditioner. The floors are a mix of engineered wood and hand-painted tile from Clay Imports. From inside the container, you can see through to the front of the house.